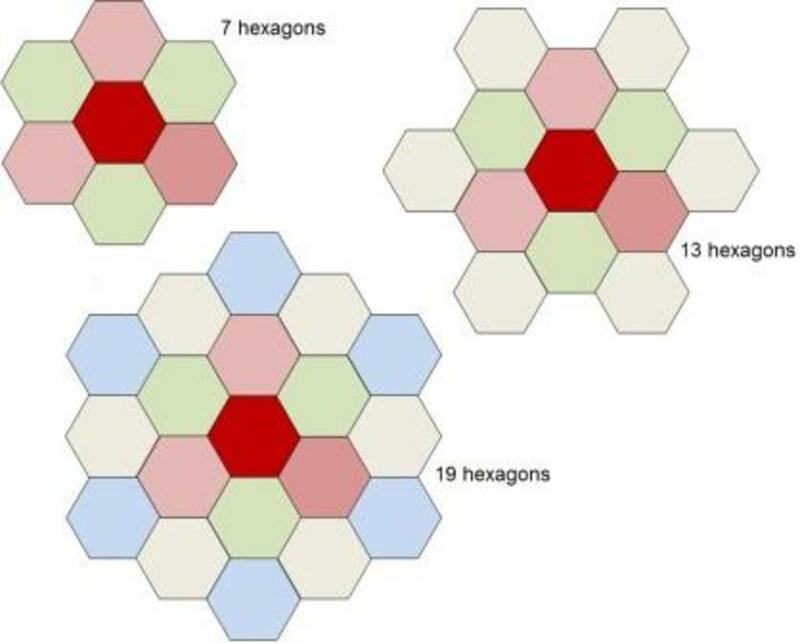 Of all the different patchwork techniques out there, this must surely rank as one of the fastest and easiest, yet the results can be stunning and the possible permutations are endless. 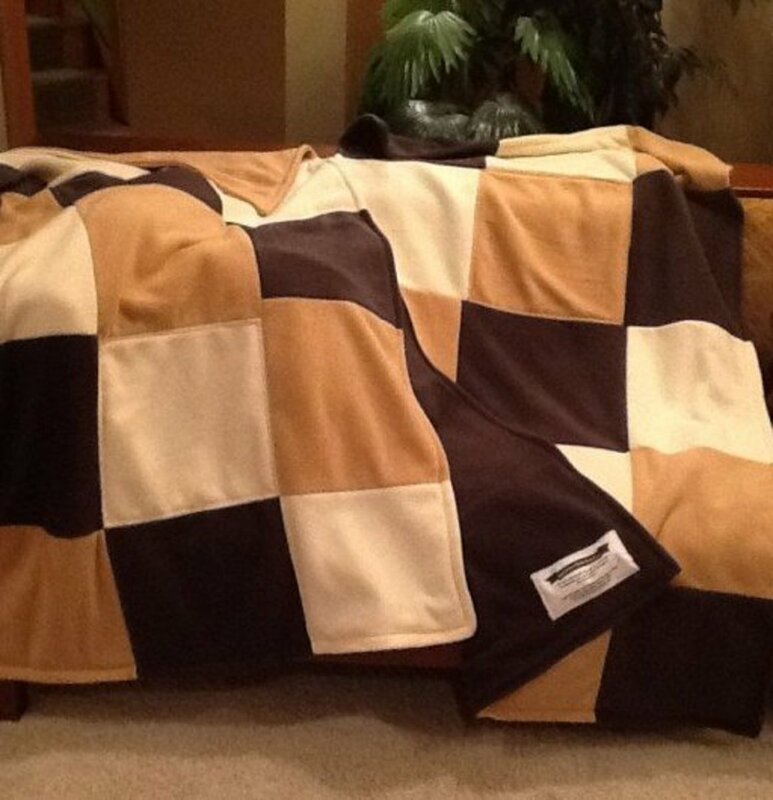 Do you have a sentimental but tattered quilt? Is there enough of the interior that can be salvaged? My Grandma made this Dresden Plate Quilt decades ago. The edges were frayed, and the perimeter blocks were torn. 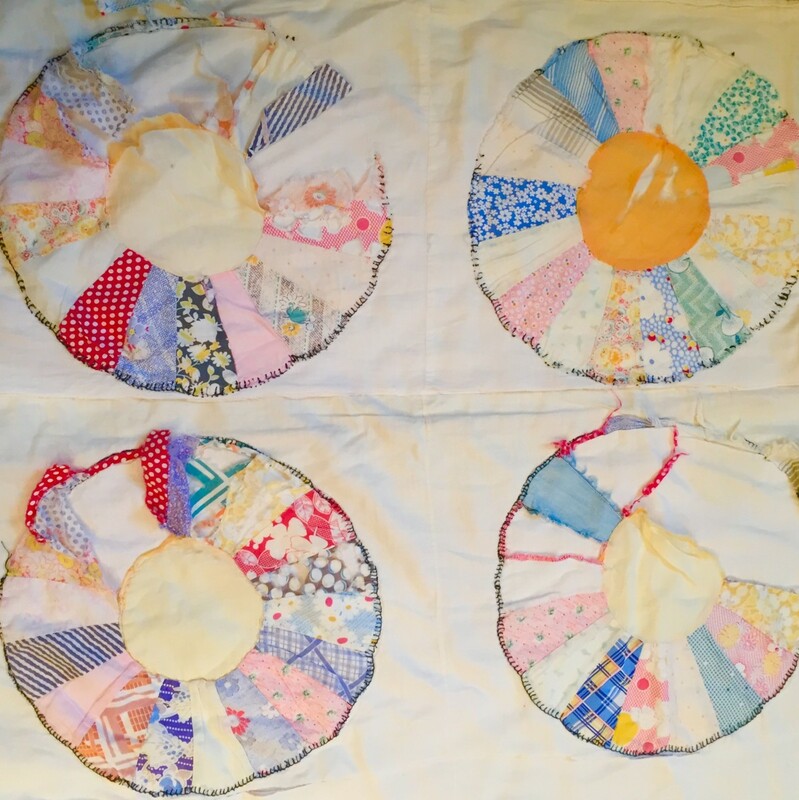 I decided to cut it down, finish the edges using my serger, and have a cozy, new quilt. 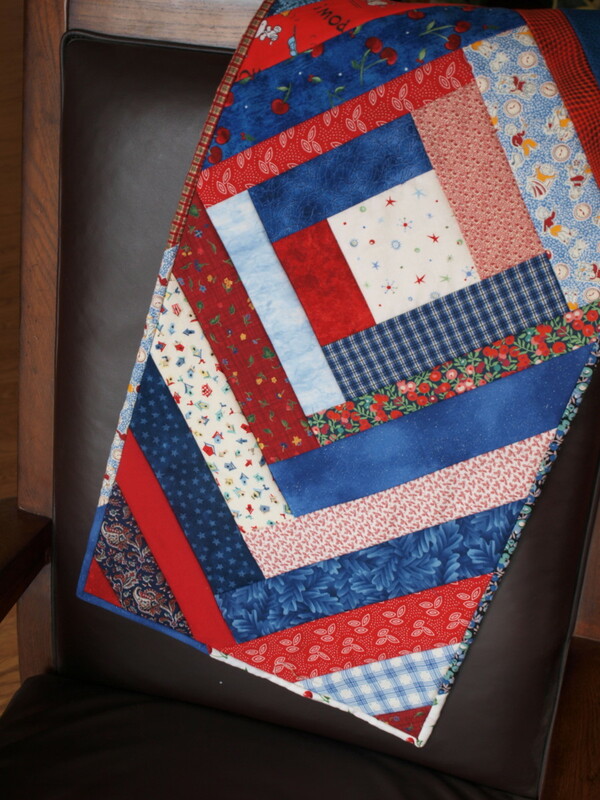 Make this beautiful quilted table runner with strips of fabric. It is fast and easy with the step by step guide provided. 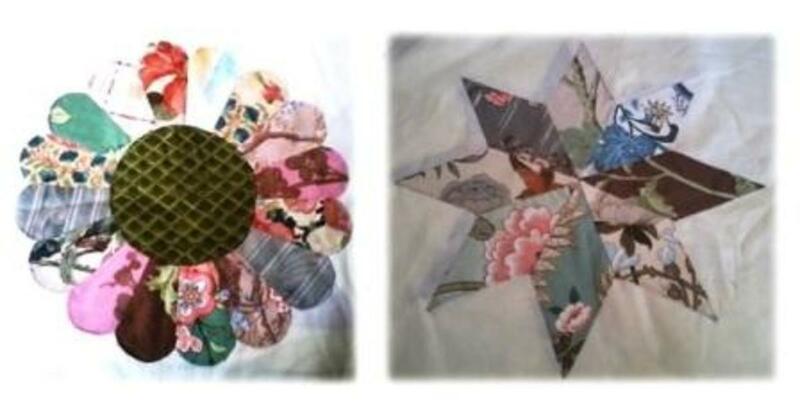 Consider adding embellishments to your next quilt. 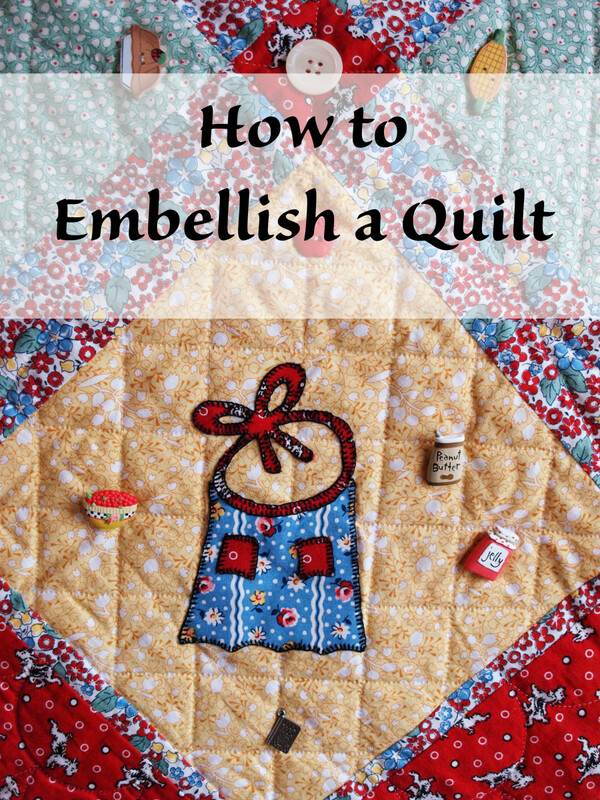 Learn how with this guide that includes step by step video instructions, helpful hints and beautiful examples of embellished quilts. 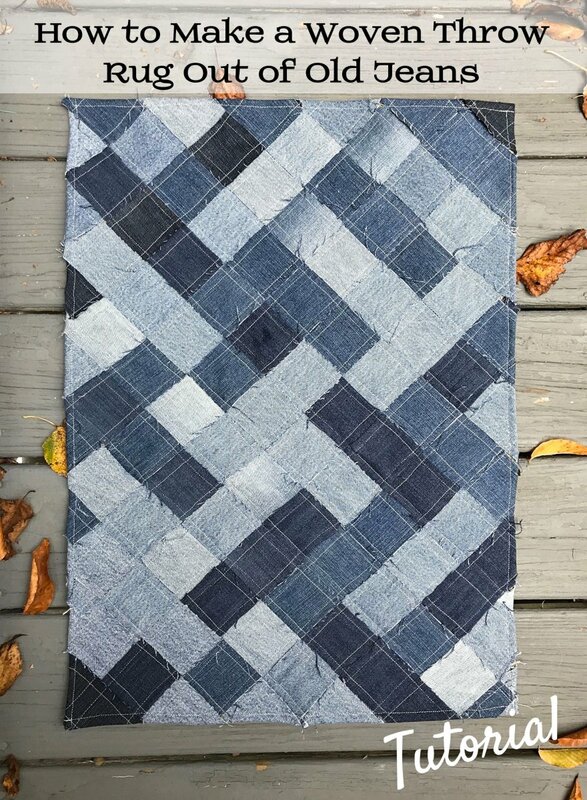 Learn how to make a unique denim throw rug out of recycled denim blue jeans. It's easy with this step-by-step tutorial, complete with written and photo instructions. 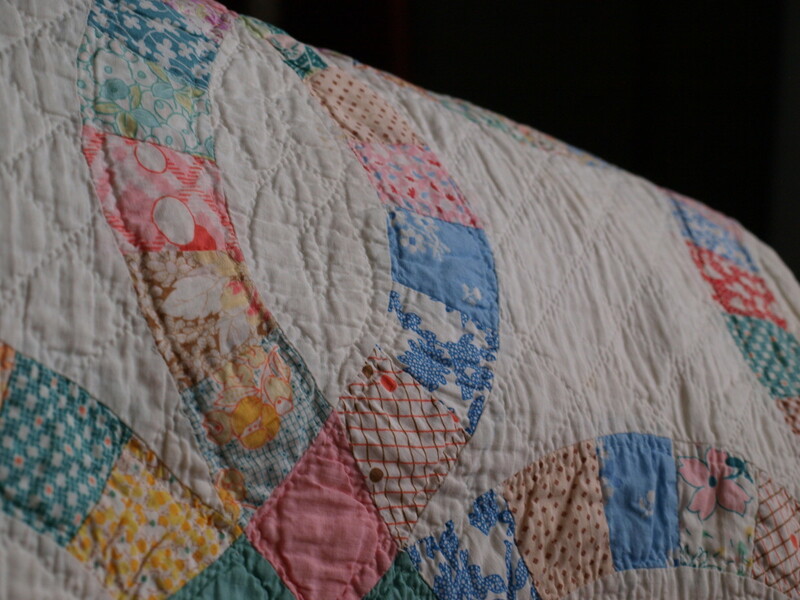 Find out how to care for and store your prized quilts to ensure that they will last for generations to come. 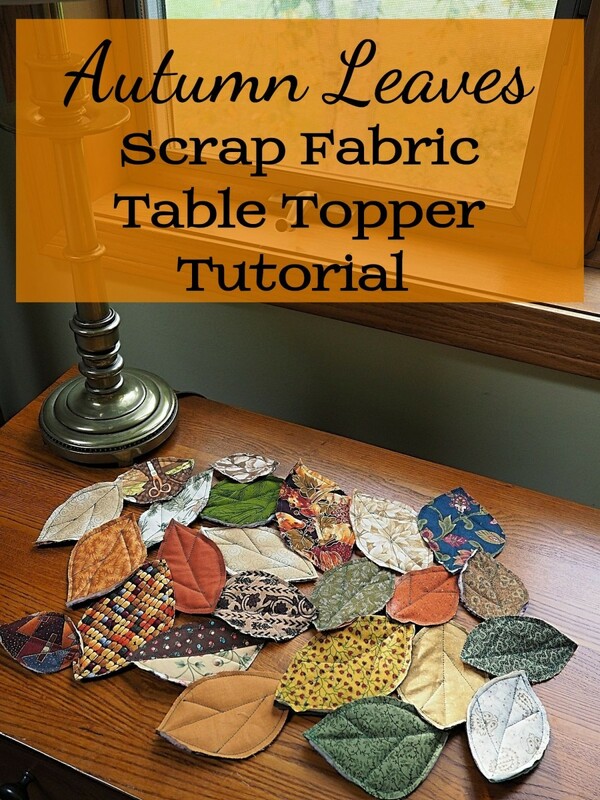 Use fall colored fabric scraps from your stash to make this unique table runner. It's a snap with this easy-to-follow DIY tutorial, complete with written and photographic instructions. 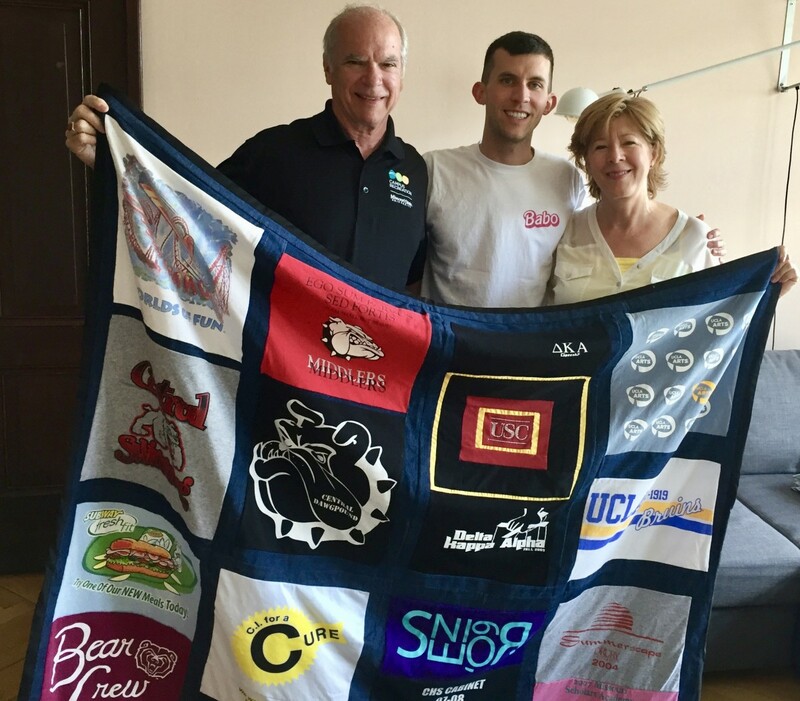 If you've been storing favorite t-shirts - likely never to be worn again - create a snuggly quilt that will be used often and bring back fond memories of times gone by. This one is for our son who now lives in Berlin. 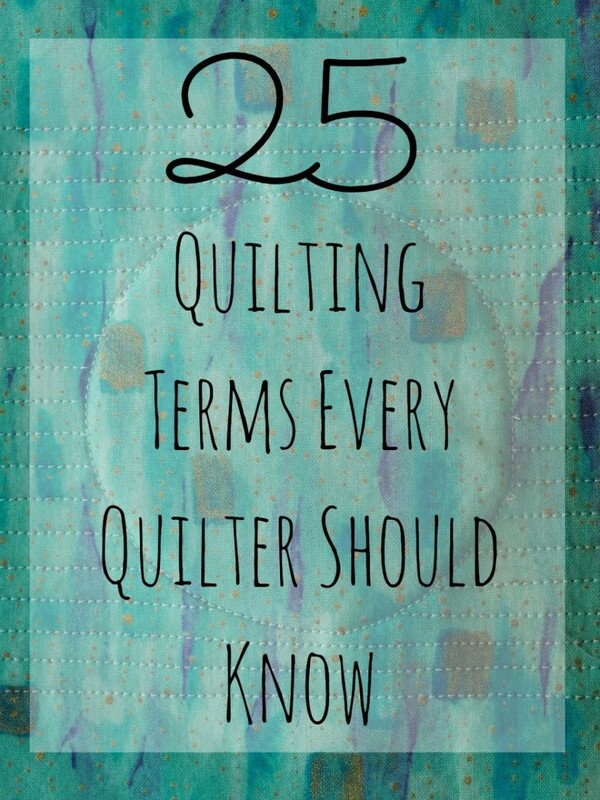 If you are a quilter then you definitely need this useful list of 25 quilting terms. It's a glossary including their definitions, and pictures illustrating them. This patchwork block can be made without a sewing machine and therefore it's a perfect small project to take anywhere you go. It's easy and satisfying to do and the results can be stunning. 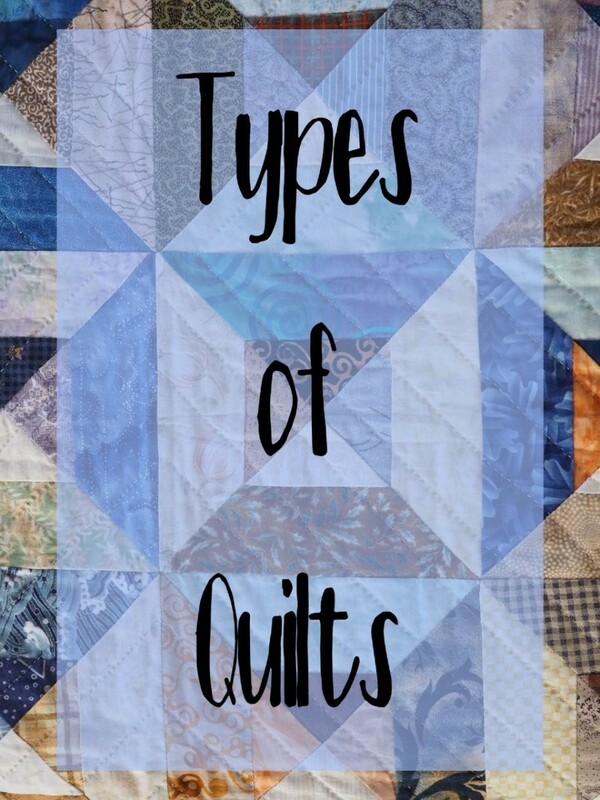 A list of 16 types of quilts, along with photo examples and brief descriptions. 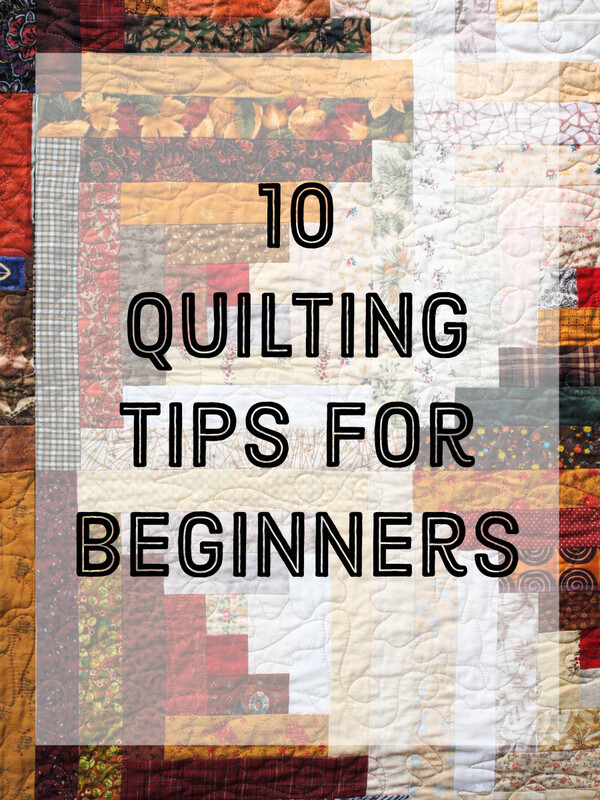 If you are thinking about taking up quilting as a new hobby, here are 10 tips that will help you avoid some common mistakes that beginners, and some experts, often make. 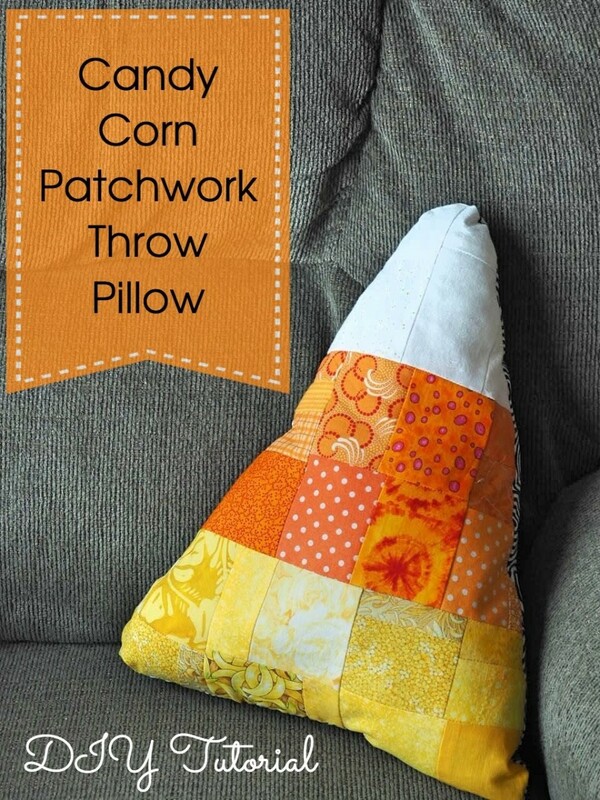 This adorable candy corn patchwork throw pillow is the perfect addition to your Halloween and fall home decor. Find out how quick and easy it is to make using this step-by-step tutorial. 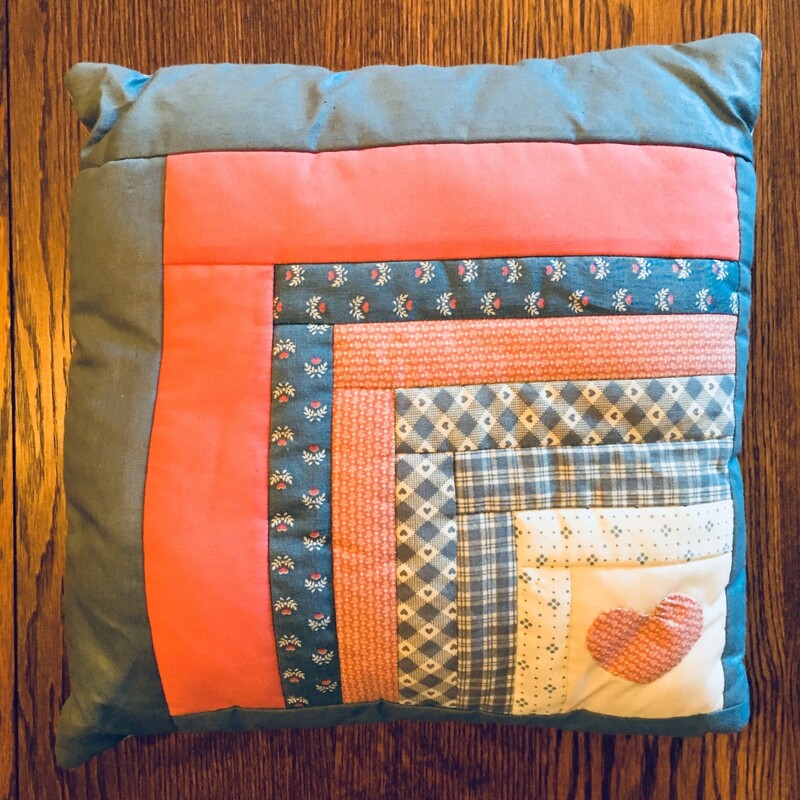 Learn how to make small quilts out of well-loved sweatshirts or fleece using a sewing machine or serger. These directions comply with the requirements designated by Operation Quiet Comfort. 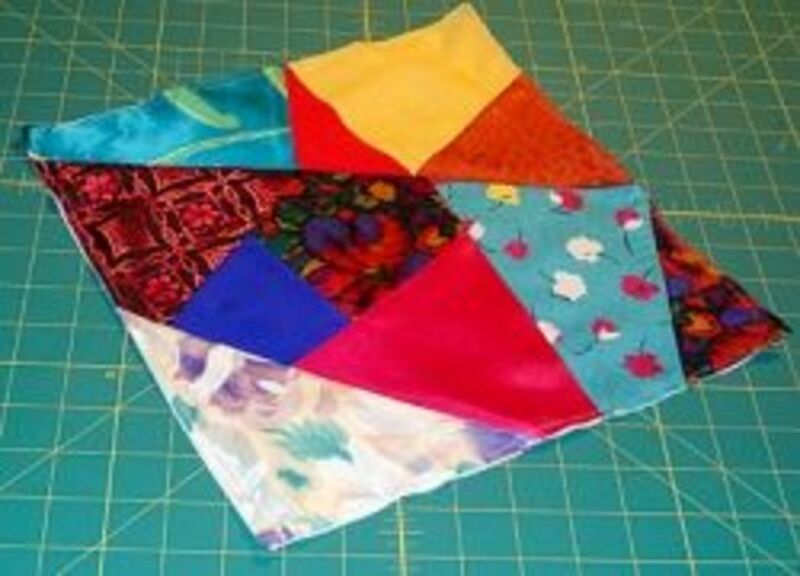 Create a log cabin square that can be used for either a finished pillow or a block for a quilt of any size. This is a versatile project you can make again and again. 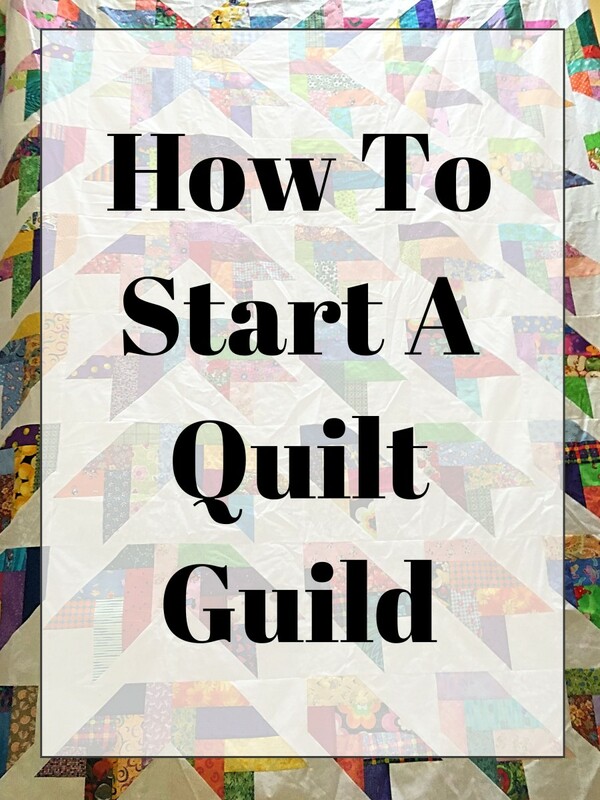 Learn how to start a quilt guild with these helpful tips.